Anirban Lahiri finished in the Top-25 of the Money List compiled for the Four event finals and joined the Top-25 earners from the regular season. A total of 50 cards are given out at the end of the Web.com Tour Final Series. Even as Anirban Lahiri is completely focused on doing duty for the International Team at the President's Cup beginning Thursday, his card and status for the PGA Tour for 2016 was confirmed on Sunday at the end of the Web.com Final Series. The Indian ace, who skipped the last two events of the four-event finals, finished in the Top-25 of the Money List compiled for the Four event finals and joined the Top-25 earners from the regular season. A total of 50 cards are given out at the end of the Web.com Tour Final Series. Currently Lahiri, winner of two Asia-European Tour events at Malaysian Open and Hero Indian Open, is in Incheon in the Internationals team, which takes on United States this week in the President's Cup. Lahiri skipped the last two events of the Web.com Final series to get rest and get set for the biennial team event. Lahiri, who made US $ 49,750 from his two appearances, in which he finished T-sixth and T-16th, was 16th in the Finals list after removing six players, who had already ensured their card by finishing in Top-25 of the regular season, which ended before four-event Finals. "I felt I had done the job after the second event," Lahiri had said on arrival in Incheon for the President's Cup, where he becomes the first Indian to play for the International Team. 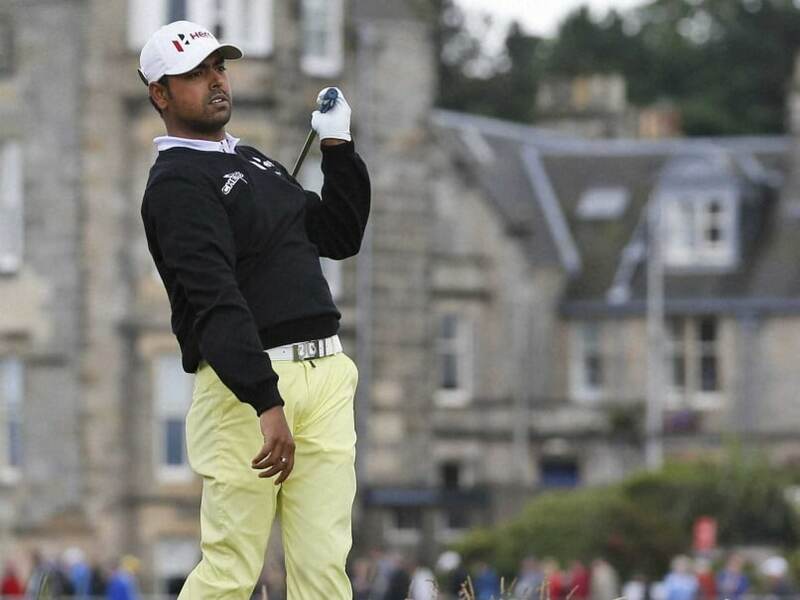 Lahiri now becomes the third Indian after Arjun Atwal and Jeev Milkha Singh to hold a PGA Tour card. Atwal did that by winning the Wyndham Championships in 2006 and then Jeev, who topped the Asian Tour Money List in 2006 and 2008, had the PGA Tour card from 2008-2010 on the strength of his performances, which included a Top-10 at 2008 PGA and T-4 at the World Golf Championships in 2009. He played 15 events on PGA Tour in 2009 and 19 events in 2010. "Congratulations to Anirban for achieving what is always a professional golfer's dream - that is playing on the PGA Tour. His performances this year have been brilliant. And now he is there for President's Cup. He is setting new standards and he is great for Indian golf," said Jeev, who has recently been named captain for Asia team, which will take on Europe in the EurAsia Cup, where Anirban did so well in 2014. While Anirban is unlikely to play immediately in the US in PGA Tour's wrap-around season beginning with Frys.com Anirban's next PGA Tour appearance will be the CIMB Classic, the only PGA sanctioned event in Asia. He will also appear at the WGC-HSBC which counts towards PGA Tour money. The two big ticket events should give him an early head start for 2016 season. He will also appear in the Race to Dubai's Final Series events, including the DP World Championships, where he will become only the second Indian after Jeev to tee off.